Stenback Cues offers professional cue repair and restoration at affordable prices. Whether it is a simple tip replacement or a full restoration you can rest assured that we will take the utmost care with your cue. Equipment available to service most cue repairs. 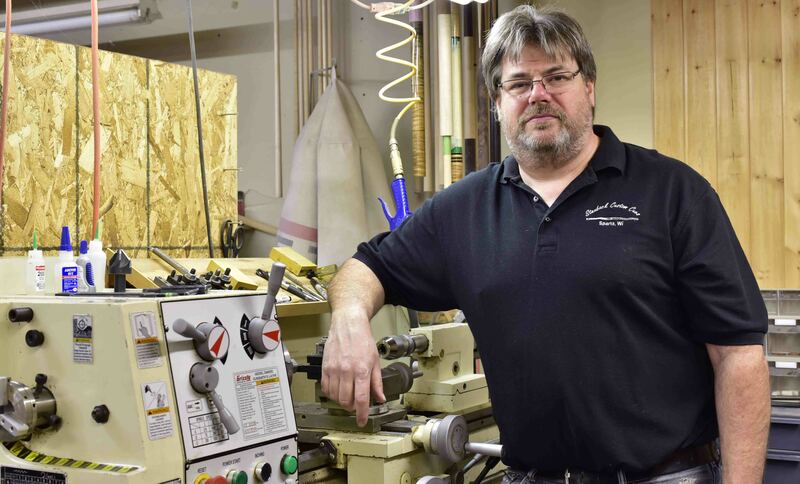 Keith Stenback started retipping cues in 2005 and made his first cue in 2006. Using his 25 yrs experience as an engineer he has refined the craft of cue making by using only the finest materials and workmanship, this experience also translates into high quality repairs that very often are constructed better that the original. Each shaft is produced right here at Stenback Custom Cues and goes through 12 incremental turnings over the course of a year. We are currently working on producing our own radial laminated shafts in house to assure the same quality as our standard shafts. Stenback Custom Cues works very closely with the customer to assure that they are satisfied with every purchase or repair.